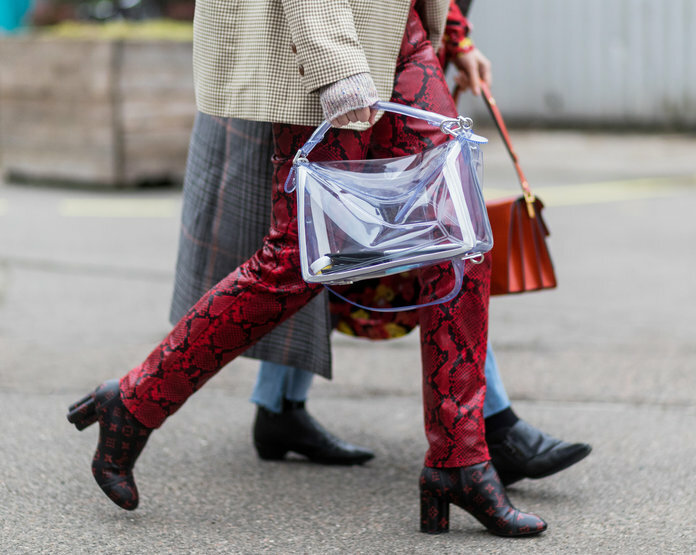 Have you been paying attention to street style this season? 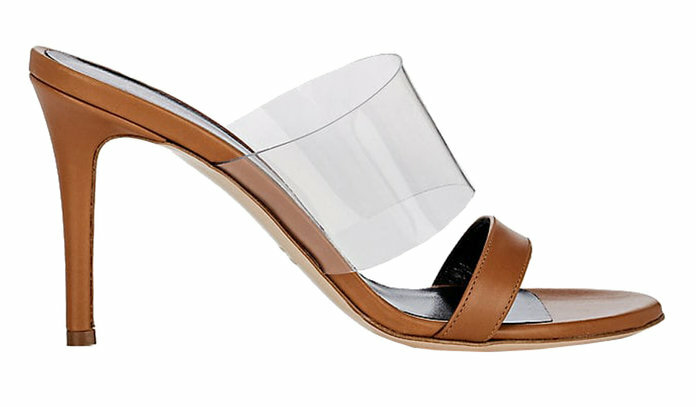 It’s impossible to miss: plastic, see-through accessories are everywhere. And for lack of a more articulate way of saying this: they just look so damn cool. And the rest? Well, trend-making history! 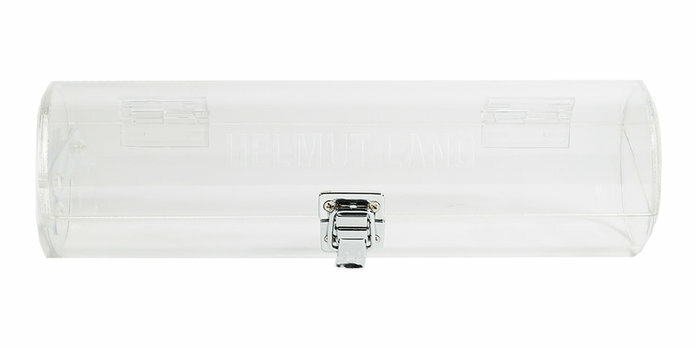 Shop our little starter pack of PVC accessories, below. Try a modern take on the ultra fashionable PVC trend by finding an accessory with a totally different material mixed in. 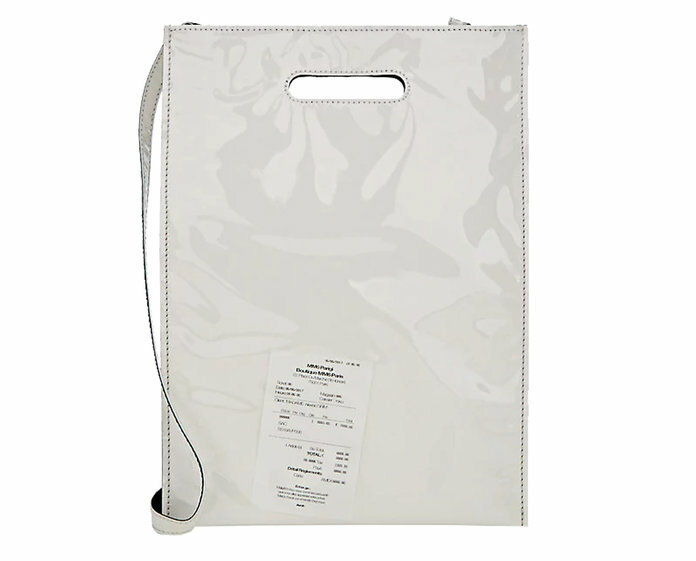 This bag captures the current PVC trend perfectly and reminds us of some of our favorites from Celine and Chanel! 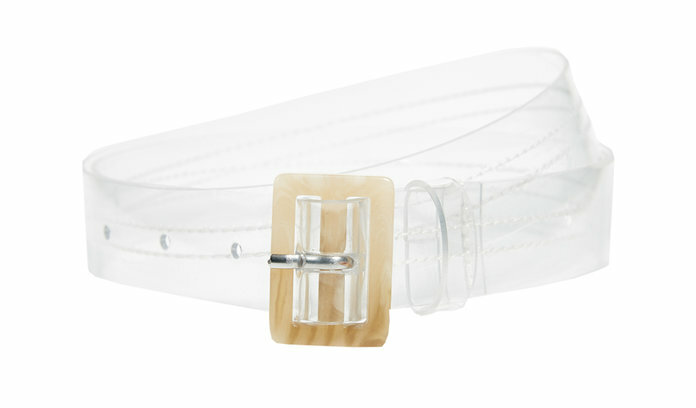 This chic transparent belt would look great paired with a neutral colored pant. 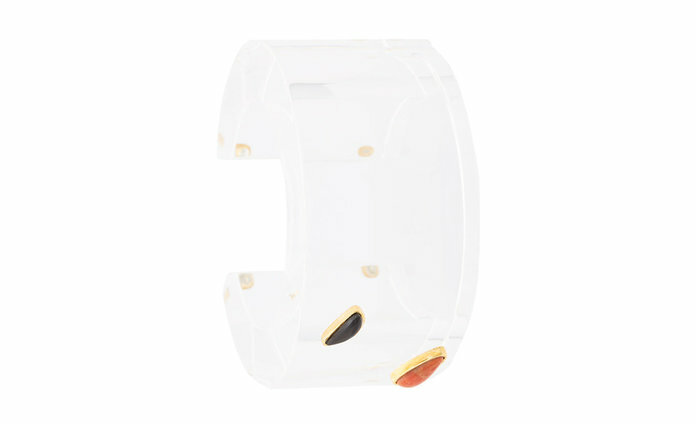 The jewel embellishments on this cuff give the piece just the right amount of sparkle. This bold futuristic and sculptural shape will add a statement to any look. 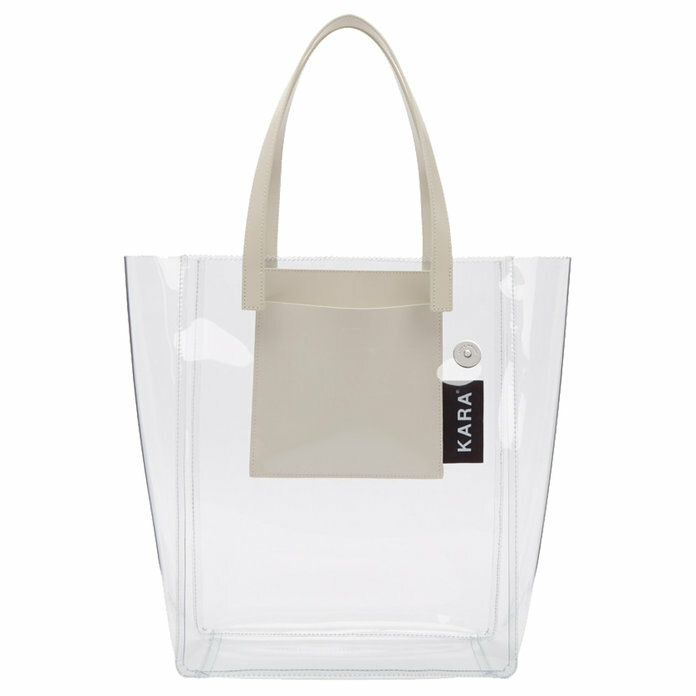 Keep in style while protecting your chic bags with this clear PVC Bag raincoat. 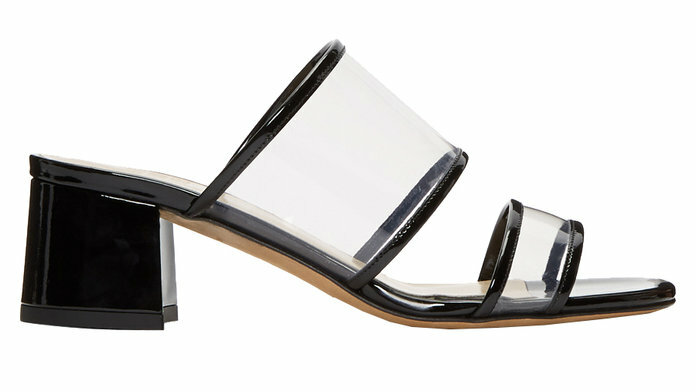 This shoe is the perfect balance between chic and edgy with its transparent detailing. 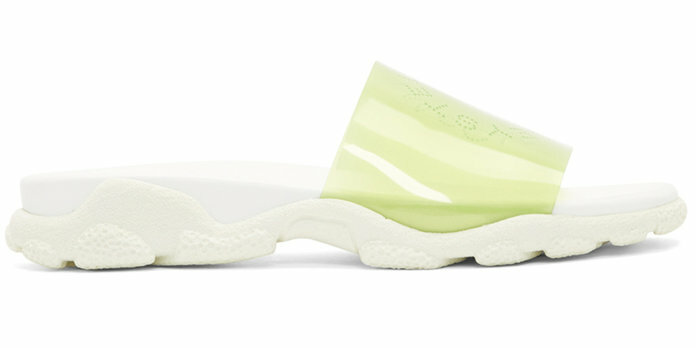 Opt for a colored PVC accessory with these green rubber slides. 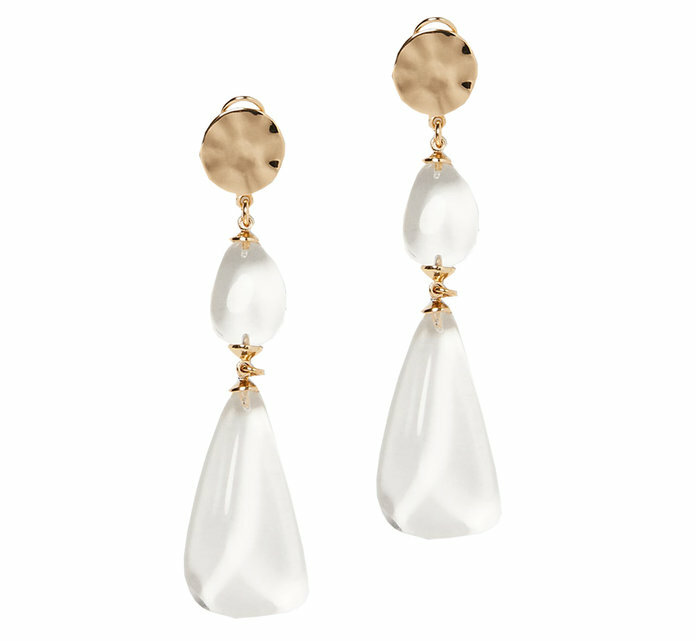 We are in love with these gorgeous transparent stone dangle earrings. At first glance, they look just like pearls! 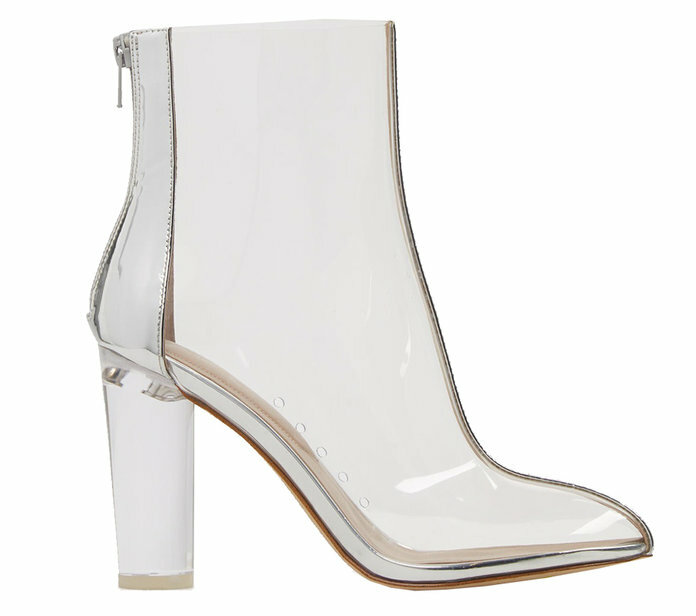 These showstopping boots will definitely get you spotted on the streets. Just make sure you get a good pedicure before leaving the house. Is there anything this bag wouldn’t go with? 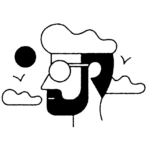 These sunglasses will add a perfect touch to an all-black look.